Looking for some EduTainment (Education + Entertainment) and a bit of adventure this Halloween? Join the Springfield Museums for fabulous family fun at the annual Halloween program: MONSTER MASH, it’s a SMASH! No Trunk or Treat for us this year—we invite our Trick or Treaters to explore our museums in search of knowledge—and candy. For instance, if you want to learn more about the stars, visit Astronomy Hall and gather some information about the heavens as well as a Milky Way bar. The Grinch is going to join in the fun. Dancing Skeletons will also turn a few heads! And best of all, there are activities to spark curiosity, inspire the imagination, and increase knowledge—all at the same time. Come play with us! Pumpkins, bats, and your own creativity… Decorate a bag to take out on your quest for candy in the museums! This lovable curmudgeon has come down from Mount Crumpit for one day only, to celebrate Halloween before his new movie premieres! What kind of candy would you eat in the Seymour Planetarium? Milky Ways of course! Trick or Treat throughout all five buildings that make up the Springfield Museums. Check out the highlights in each collection as you get a sweet treat to accompany each selected object. What types of real-life monsters call the Springfield Science Museum home? Get up close with our snakes, lizards, turtles, and maybe even a tarantula. 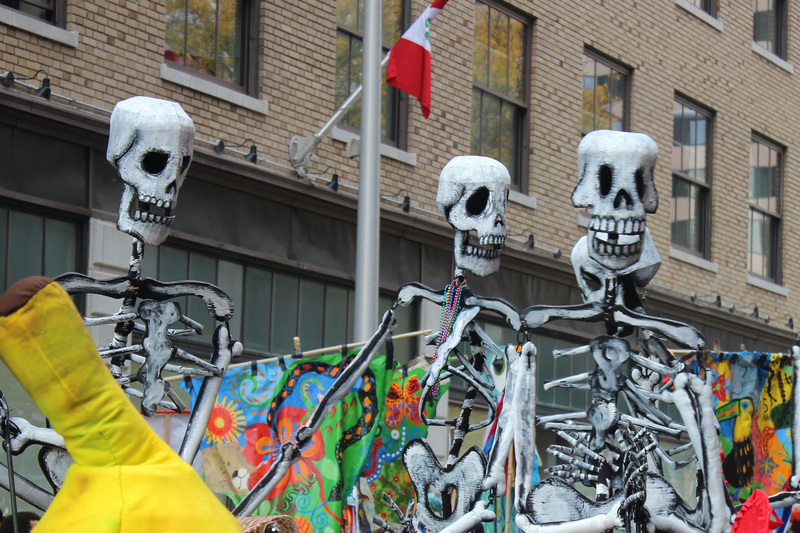 Meet and greet Anne Cubberly’s giant puppet Skeletons as they roam the Quadrangle! Trace Chinese characters, try on costumes, play gallery games, peek under lift-up panels on the Wall of Symbols to discover the meaning behind Asian motifs, put on a puppet show, and make an art project. Today’s project: Monster Masks. When you’re done Trick or Treating stick around for this Emmy-award winning cartoon special written by Dr. Seuss!